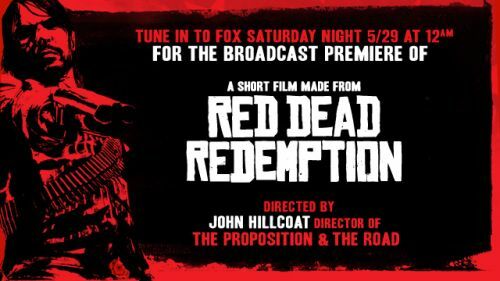 John Hillcoat (The Road, The Proposition) has worked with Rockstar Games to make an original short film for the release of 'Red Dead Redemption' on consoles. The short uses in-game graphics to tell the tale of John Marston, the protagonist of the game. The film will be released on the 29th of May at 12:00am on Fox. The 30 minute short film, created and directed by John Hillcoat (the director of The Proposition and The Road), chronicles a slice-in-time of protagonist John Marston as he tracks down his former fellow outlaw and friend, Bill Williamson. Along the way, Marston encounters many of Red Dead Redemption's eclectic cast of dreamers, misfits and liars.